To what do you belong? How do you respond when someone attempts to diminish your feeling of belonging? Life continually presents us with situations that threaten our feeling of ‘being joined’. Our technology and reduced communication skills forever push us to feel separated. Nothing seems to unravel us more than when we perceive another as attacking us. Yet, in following the Law of Non-defense, we hold our grounding and see through the illusion of separateness. A deeper spiritual practice would have us never forgetting the impossibility of our ‘not belonging’. In truth, we’ve always belonged, belong and will always belong. Real peace comes when we can rest in knowing it’s impossible to be alone, to be separated. Yet, in some weird design we develop a notion of being separate, our ego, and somehow we believe that when this notion of our separateness is challenged we need to fight. Isn’t it strange how hard we work to get the approval of others? We can see this in animals as well as they test one another’s strength in the pecking order. 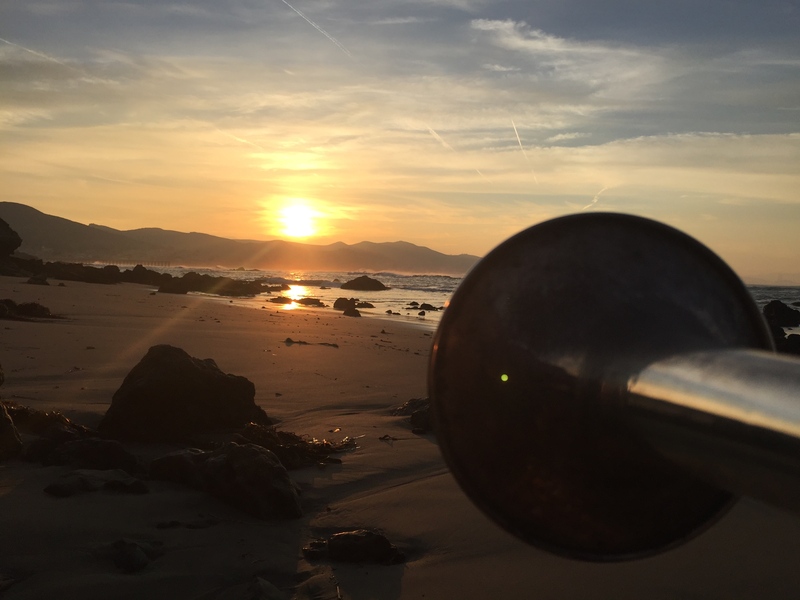 I’ve worked hard to develop skills in the study of how language shapes our experience, body/mind skills in yoga and meditation, boardsports, and playing the trumpet. My attention has been spread across these so I don’t have the focused performance skills of masters in these various interests. Yet, I’ve pursued my development of skills in these areas for decades and have received a sense of ‘belonging’ from those more focused in any of these areas. My perception of their acceptance came over years and my ego screams at me whenever I sense their judgment of my skills. When this happens and I’m losing my center I know it’s time to sit on the cushion and witness how the mind is working. The process is to let these thoughts of insufficiency go, breath in, connect, and cultivate the sense of here, now, belonging with all beings and all things. It may start with Eric Berne’s ‘I’m ok, you’re ok’ mantra. It means to wake up to this present moment gift of opportunity, to be alive and creative. It means seeing the surprise in each new arising moment. Attachment to a thought robs us of this and I can say personally, when another attacks my perceived sense of belonging it’s extremely difficult to let that thought and the associated feelings go. Yet, with a solid practice I can better see myself as a person of hope instead of hopes. I’ve lived long enough to see hopes go down the drain. The key to quality living is coming back tomorrow with new hope…open for surprise. This takes skill at growing the feeling of belonging. It requires an open mind and heart. We have to be open to receive that everything will not come out well. It requires patience and curiosity. We continually work on saying “yes” to belonging with our whole being. Some have called this the working definition of love. One of the leading authorities on gratitude, Brother David Steindl Rast, contends that you can’t have gratefulness without acknowledging your belonging. Katagiri Roshi instructs us to move through life as though in the ocean, one foot always connected to the floor of the ocean for grounding, no matter how turbulent the surface of the water becomes. Another analogy is that of the wave’s relation to water. We can see our ego as the form of the wave. We may fill with thoughts of our importance and separateness, yet, when the wave finally crashes on the shore it wakes up to the truth that it’s always been water. There’s a deep peace and courage that comes from this cultivated sense of interdependence. It’s the stuff that defeats the poisons of fear, anger, hate, greed and other illusions of our separateness. It’s where we really come alive. So next time you feel restless, fleeing from the opportunity of the present moment, driven from feelings of separateness and dissatisfaction, try growing your sense of belonging. Some have said depression can be defined as lack of vitality. Nothing feeds vitality and our sense of aliveness better than growing a bigger, deeper sense of belonging that moves past our need for approval from others. Just Be. Please leave your comment so we know what you think about this article. Trackback URL: The Practice of Growing our Feeling of Belonging.